In 2014, global annual pharmaceutical revenues exceeded $1 trillion for the first time in history, with most of these revenues being generated in the United States. 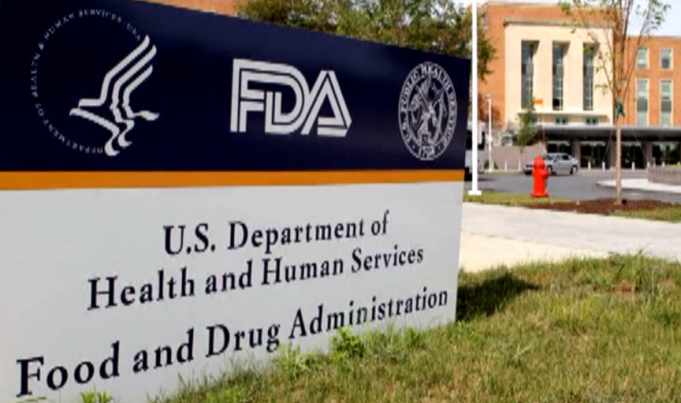 The U.S. Food and Drug Administration (FDA) is tasked with protecting public health by scrutinizing the drugs these pharmaceutical companies produce to ensure that they are safe and serve the best interests of the American public. FDA is responsible for advancing the public health by helping to speed innovations that make medical products more effective, safer, and more affordable and by helping the public get the accurate, science-based information they need to use medical products and foods to maintain and improve their health. Adams recently interviewed Dr. Jack Wolfson, D.O., a board-certified cardiologist and author of The Paleo Cardiologist: The Natural Way to Heart Health, about a better way to deal with America’s ever-increasing number of illnesses – a way that does not continue to benefit the bloated healthcare and pharmaceutical industries. Dr. Wolfson agrees that “there is a better way to heart health” than simply to keep sending more and more drugs to market as the FDA has done for years. He believes that America’s sick care industry is simply not sustainable. He also notes that while some pharmaceutical drugs do work, they are often exorbitantly expensive and always have side effects. An example of this is a class of cardiology drugs called PCSK9 inhibitors which reduce cholesterol. These drugs carry a price tag of $15,000 a year, and are being pushed by pharmaceutical companies and the insurance industry as miracle drugs. In spite of FDA approval, however, Dr. Wolfson referenced a study published in the spring of 2017 in the New England Journal of Medicine, which he says showed that the drug does not save lives. Nonetheless, this class of drugs represents a $250 billion a year industry, and you can be sure that the FDA won’t be recalling them any time soon. Dr. Wolfson also explained that even in patients who do derive benefits from such drugs, there are serious negative side effects, including depletion of CoQ10, and a steroid-like hormone which is highly concentrated in the brain. Lowering levels of this hormone in Parkinson’s and other patients with movement disorders can have disastrous consequences. In addition to being dangerous and toxic, pharmaceutical drugs are incompatible with the human body and mask the symptoms of disease instead of addressing its root causes. Dr. Wolfson notes that often patients are prescribed dangerous drugs when all they needed was to supplement their magnesium or potassium levels, or to increase their intake of Omega 3 fish oil, for example. Others simply need to remove gluten from their diet, increase their exposure to sunshine, or get more sleep. Of course, the FDA is fully aware that prevention is far better than cure. But then, who’s going to make any money if everybody takes responsibility for their own health and starts tackling the causes of disease rather than its symptoms? Watch Adams’ full interview with Dr.Wolfson, below.